Ceramic tile is a versatile and adaptable material; it suits a number of settings, and comes with the added appeal of being low-maintenance. An obvious choice for kitchen and bathroom applications, ceramic tiles can also work well in living areas, hallways, foyers, porticos and more. As far as design constraints, there are limitless possibilities for ceramic tile. Available in numerous color and size variations, there are always additional application options as well- ceramic tile doesn’t have to stop at the floor, you can unify your design and create ceramic accents in the form of backsplashes, countertops, and shower stalls. Ease of maintenance is probably ceramic tile’s biggest appeal. 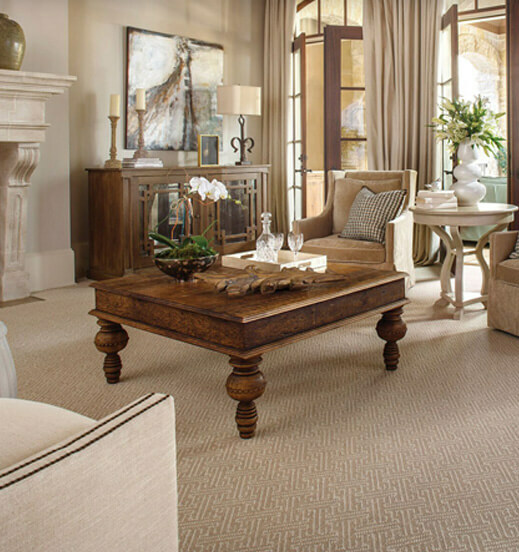 It is this quality that makes it ideal for use in areas where moisture might be an issue, as carpeting and wood cannot compete when it comes to dampness & spills. Ceramic tile also requires little in the way of a cleaning routine, since it is spill-resistant and does not trap allergens or bacteria. Another strong point of ceramic tiles is their wear resistance. 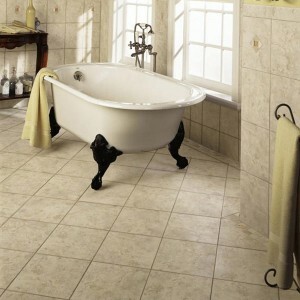 Ceramic tile has a high level of durability and longevity, making it a great value.